Oh the snow! After a long week of trudging through and shoveling the white fluffy stuff, it is definitely time to relax. Here&apos;s what&apos;s happening this weekend in Providence. 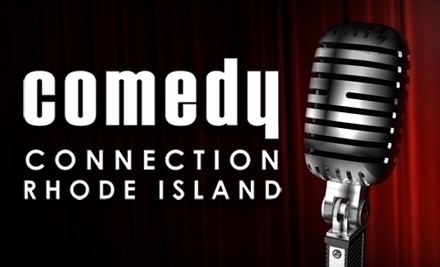 Get out of the cold and get in some laughs at Comedy Connection. Mark Normand is a great comedian from New York with appearances on TBS&apos;s "Conan" and more. Show starts at 8 p.m.
Bring the kids down to the Dunkin&apos; Donuts Center for some intense AHL action when the Providence Bruins take on the Worcester Sharks. Purchase tickets online for a special two-for-one deal. The game starts at 7:05 p.m. Hang out with some rowdy animals for a football packed tail-gate party. Watch as some of their animals like the snow leopards and moon bears bash, clobber and tackle football themed enrichments! This is free with admission and goes from 10:30 a.m. until noon. Take it easy and head up to the Stadium Theatre in Woonsocket for Another Tequila Sunrise: A Tribute to The Eagles. This band definitely takes it to the limit with their renditions of Eagles songs. Show starts at 8 p.m. If football isn&apos;t your style, head on over to Trinity Repertory Company for a showing of Middletown, a story about small-town American living. Middletown showcases an ensemble cast, including seven members from Trinity&apos;s resident acting company. The matinee starts at 2 p.m.
And who isn&apos;t excited about the big game this weekend? There are plenty of places in Providence to catch the big game in all its glory. We even did a blog post about it, which you can check out here. We hope you have a wonderful weekend. Check back here for more things to do in the city.